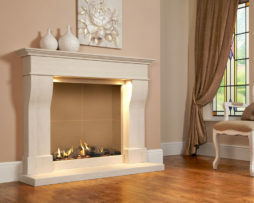 The stunning Da Vinci Illumia fireplace is sure to be the centre of attention in any home. 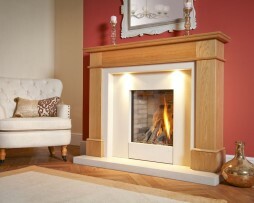 Its highly realistic log fuel bed is complemented by a beautiful and mesmerising lazy flame. 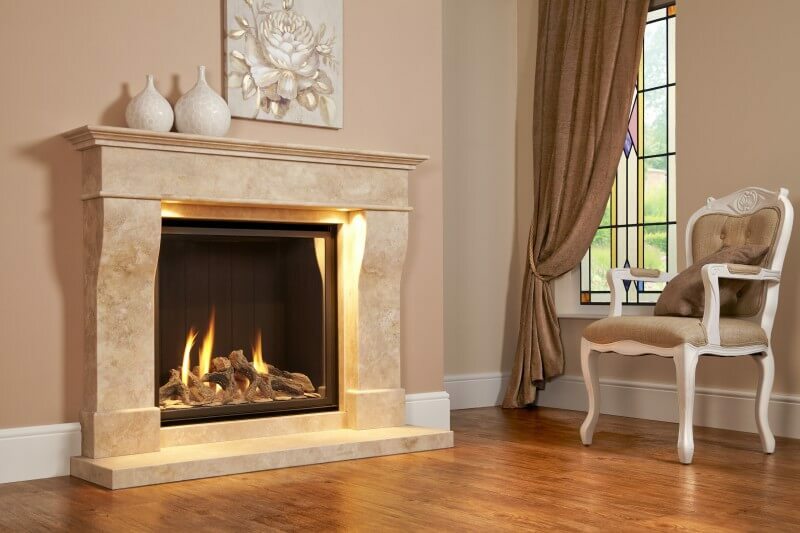 The classically designed surround will suit any decor and with a choice of brick effect or black ribbed back panels and Limestone or Travertine surround you can create your own distinctive style. The Da Vinci Illumia Suite is available as a conventional flue model, suitable for installation into any standard brick chimney or pre-fabricated flue with a maximum heat output of 4.8kW. Don’t have a standard chimney or flue? A balanced flue model with an incredible 83% (net) efficiency is also available. Both models feature decorative halogen lights and our multi-functional remote control system with thermostatic and timer functions. 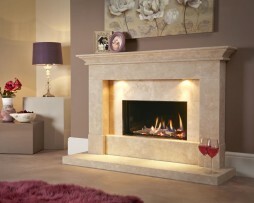 Limestone and Travertine are natural products and as such can be subject to variation in colour and veining. Small fossils and crystal lines may also be apparent in some sections of the surround making it an inherent feature of the product. These are not defects but mean that every suite will be entirely unique. When you recover your new surround there may be some colour variations. This is typical of limestone and travertine as the stone is particularly porous material which absorbs moisture during manufacture and deep sea transport in the container. After 2-3 weeks in a room with an average temperature the surround will dry to a consistent colour.